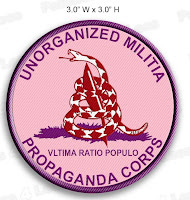 Back in 2008, an idea was born. 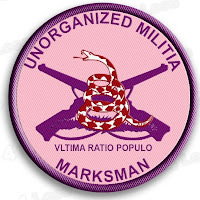 Gun bloggers should have a way to advertise and announce who and what they are. 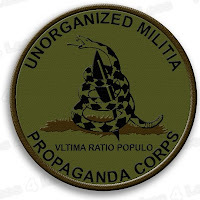 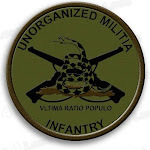 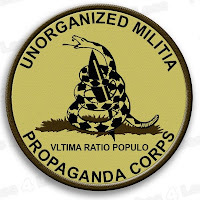 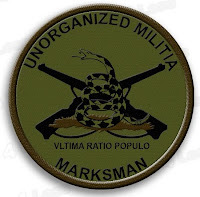 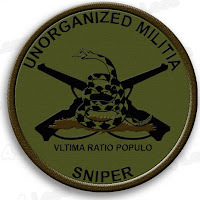 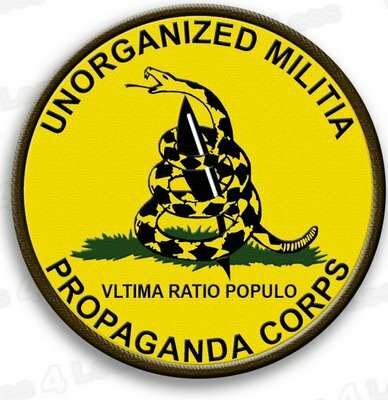 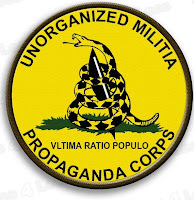 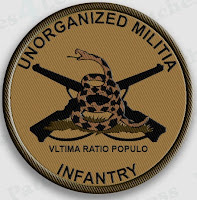 From this developed the classic Unorganized Militia Propaganda Corps Patches. 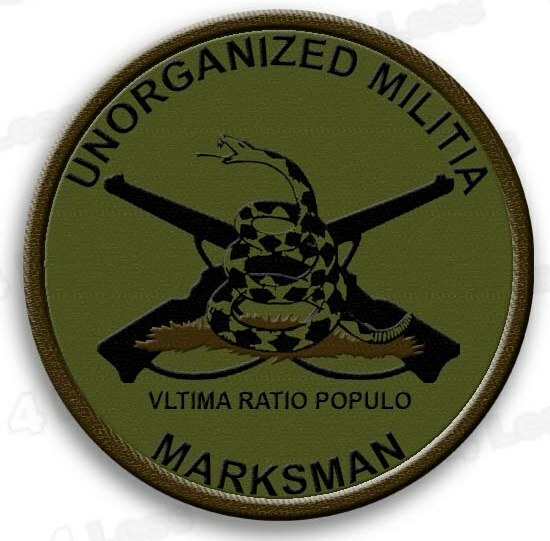 To complement these were the "Liberty Strikes Back" logo by Kent McManigal, the UM Infantry, Marksman, Sniper, Signal Corps patches in Subdued Green and the "Militia" Rockers in Coyote, Green and Grey. 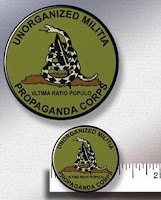 All items are available as listed below w. contact and purchase information at the bottom of the page or Ebay. 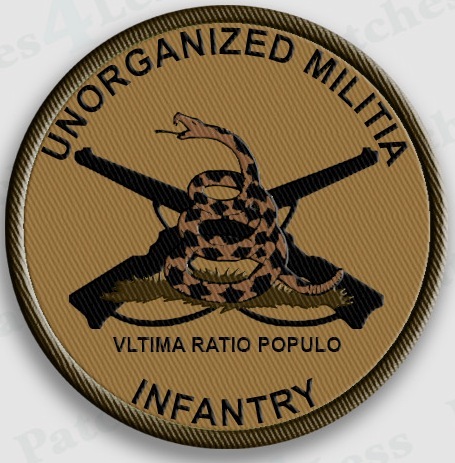 To complement the UMPC gear, Days of Our Trailers also has Unorganized Militia INFANTRY in Subdued Green and Tan, SNIPER, and SIGNAL CORPS patches in Subdued Green and MARKSMAN in Subdued Green and Pink. 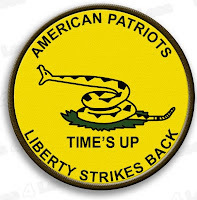 Also available is the "Time's Up" patch based on a design Kent McManigal. 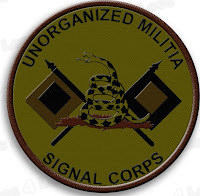 Make sure to include a detailed list of the items you want and a way to contact you in case of a discrepancy. 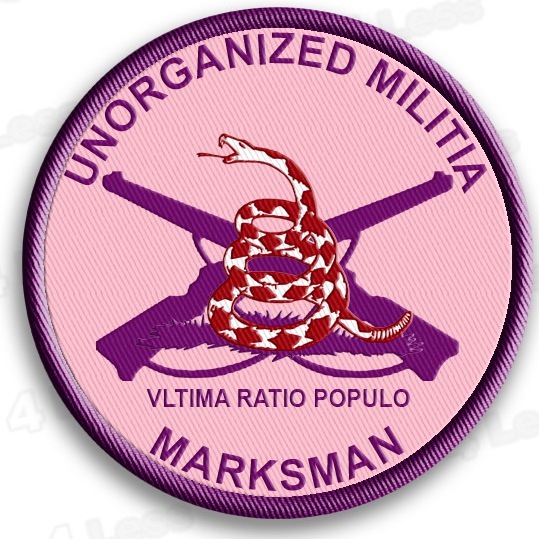 Looks great on Hats, Range Bags, Laptops, and Purses. 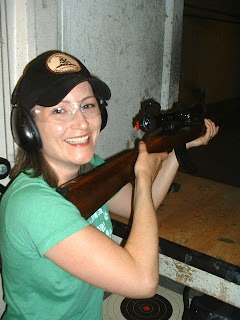 Feel free to E-mail me with your photos. 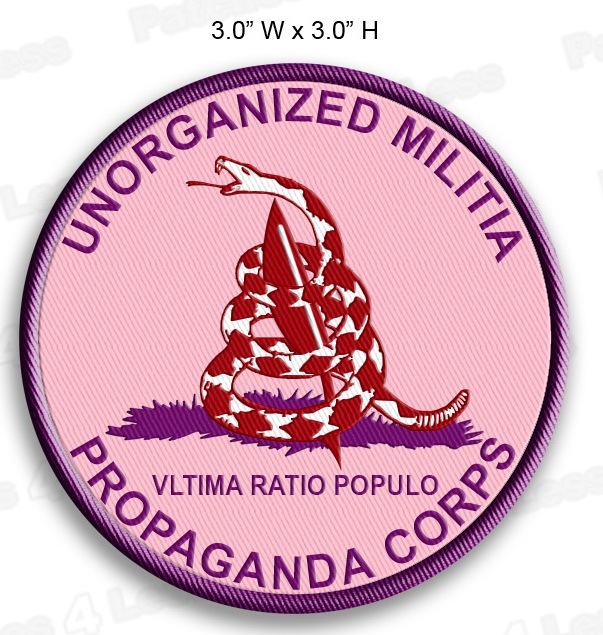 Are the patches still available?